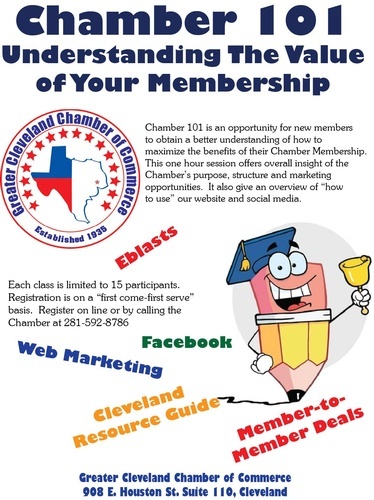 Chamber 101 Learn what the Chamber offers to all members and how to utilize your membership to your advantage. Class is limited to 15 attendees, RSVP is required. Lunch is provided.